First Period Colonial Preservation/Restoration of Kingston, New Hampshire executed a complete restoration to this nearly original 1730 residence in Danville, NH. The building is not quite as built. In 1750 the owners added an addition along the back, presumably in a “salt-box” format. The present owners weren’t looking to make any such dramatic changes, at least none that show. 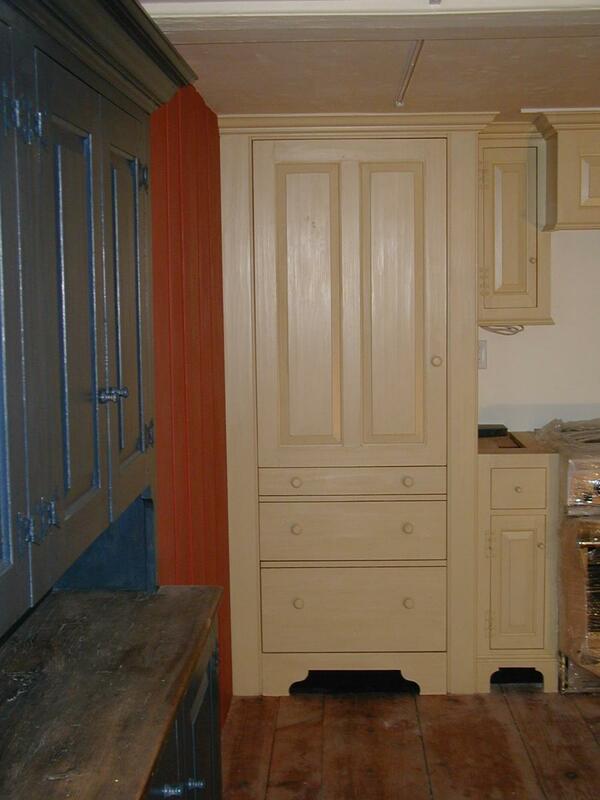 Check out the refrigerator concealed within period eighteenth century cabinetry. 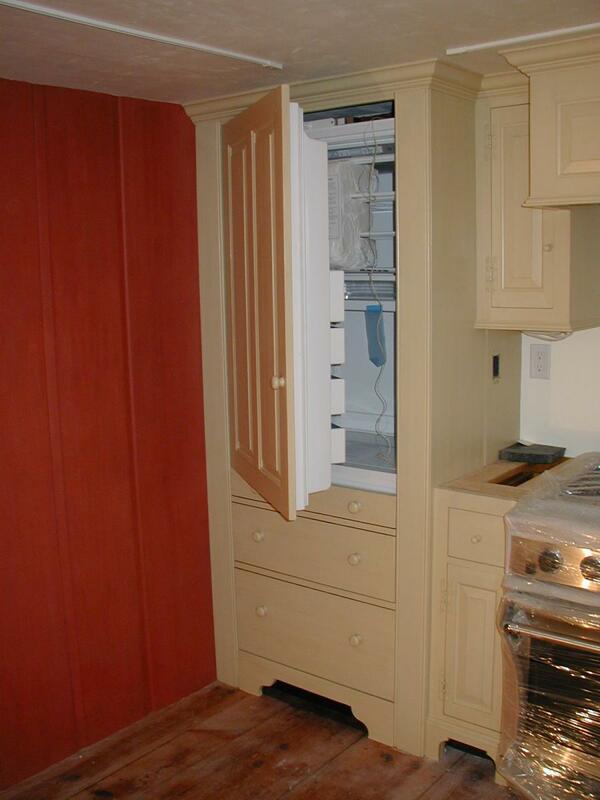 ….conceals a state of the art fridge. This entry was posted in Architectural Conservation and tagged New Hampshire. Bookmark the permalink.